The Artesia Police Department is seeking the public’s assistance in locating a man wanted in connection with a shooting that occurred this weekend at a local apartment complex. The incident took place around 6 p.m. Sunday at the Abo Apartments, 700 N. 10th St. An individual was shot in the course of the incident and airlifted to Lubbock, Texas. They are expected to survive. The APD is currently seeking Tomas Salazar, 19, of Loving. 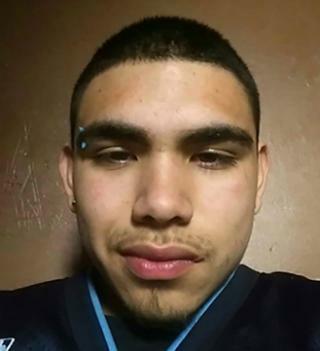 Salazar is described as 5’5″, 130 pounds, with brown eyes and brown hair, and a piercing in his upper right eyebrow. A warrant for his arrest has been issued on charges of aggravated battery inflicting great bodily harm or death (firearm). Anyone with potential information as to Salazar’s whereabouts is asked to contact the APD at 746-5000. Anyone seeing Salazar is urged to call 911 and not to approach him.